I got this message and it took me to a website AppleMusic.co, but it was all in Spanish and said that something went wrong when I clicked on it. What does this image mean? Can I gift it to someone still? In this case: all I had to do was wait a little bit. 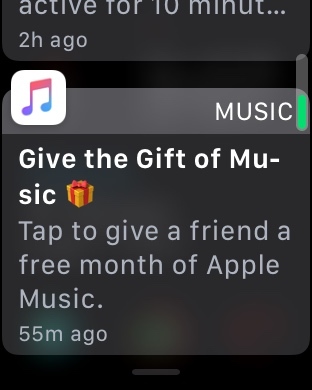 I was able to gift the trial to someone through text message, and it worked perfectly, giving the person four months of Apple Music. Not the answer you're looking for? Browse other questions tagged iphone apple-music family-sharing . Why does iPhone Music app show me “Apple Music” logo instead of my iTunes songs? Why do iOS updates have “Apple Inc” in the top corner? Do I have to wait days for my library to upload again after accidentally logging out of iTunes?